Compnology Blog: Internet File Sharing for Quickbooks? All these services are part of the 'Cloud Computing'. 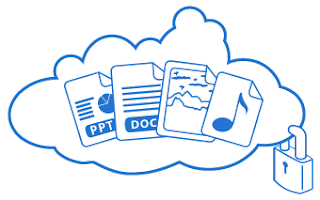 That is the ability to have your files stored on the internet to be accessible from anywhere. 1st are: Small, Simple, Self-contained Files. 2nd are: Larger, Application Dependent Files. Word Docs, Excel, Spreadsheets, PDF, Pictures....all these files can be opened by all kinds of programs. They are generally small, and you can open them directly from a browser. Generally edits are quick and then file is closed. Since they are small, they can open quickly over the intenet. MS Access, QuickBooks, SQL type of files are almost always much larger in size. When opening over the internet, then entire file / database has to download in order to be opened. If you have an actual 'live' connection to the internet hosted file and your internet connection glitches for a second, that could damage the database file. When you select a record or entry, the local computer has to download all related files down and then up to the internet EVERY time you make a selection, view or save. This is VERY time consuming, making cloud based access NOT attractive. MS Access, QuickBooks, SQL are proprietary files. Which means you can't just open these files on with any vendor’s software or in a web browser. You have to have the manufacturer’s software installed on your local computer in order to open the files. Many times there are versions of the program, and your locally installed program versions much match the database version. If you did attempt to share the file, all persons would have to have the 'like kind' version of the program installed locally. Now, if your database file is small, and you’re the only person using it, then you CAN upload it to some of these services listed above, then download it again on another computer (after installing the database program), and then use the database. This is more of an accessibility or backup purpose. It’s NOT a sharing feature. You are basically MOVING the file, NOT sharing it. If you copy it, you now have different versions of the file. Each person who opens it has their OWN copy of the database, and any changes they make are stand alone, NOT synced. Bottom line: you cannot simultaneously share a QuickBooks / SQL database just by placing the file at an online file sharing service and expect others to be able to open in a web browser. Doesn’t work that way. If you want to share MS Access or SQL, you need to create a web based front end and tie it to an internet accessible database using web services. I suggest using HTML or PHP hosted on IIS or Apache. Connect the page to the database directly or using ODBC connection. The web files can be publicly accessible and the database itself will remain on an internet accessible computer as the host.